BROOKLAND, AR (KAIT) - For those looking for a safe place to live, look no further than Region 8. A company called Safewise recently released a report about the safest places to live in the state of Arkansas. There were several cities in the Region 8 viewing area that made the top 20. Mayor Kenneth Jones said he was proud to say one of those cities was Brookland. "Safewise is a company that tracks cities and their types of crime," Jones said. "They track murders, assaults and different things. The city of Brookland, for the first time, has come in at #9 out of the cities in Arkansas, we're very proud." Mayor Jones said this shows they're headed in the right direction. "There have been a lot of questions about our growth," Jones said. "People want to know how our police department is handling it, how is our city handling it? So, when you get a report like this it kind of uplifts your spirit a little bit because you realize your police department is doing a good job and they're staying on top of things that they need to be watching. We know we've got a lot of work ahead of us with our growth. And we try to man our police department, give them the proper equipment to do their job. And that just shows that everything we're doing is a step in the right direction to protect the health, safety, and welfare of our citizens. And that's our goal." Jones said the statistics come from crime reports. "This is based solely on the police department's records," Jones said. "This identifies areas if you've had any murders, personal assaults, break-ins and so on. And that's how they rank this. We've got a few other cities in the area that ranked well in this survey too and they should be very excited." Jones said all law enforcement agencies working together as a team to keep everyone safe makes all the difference. "It's rewarding to know you're making strides," Jones said. 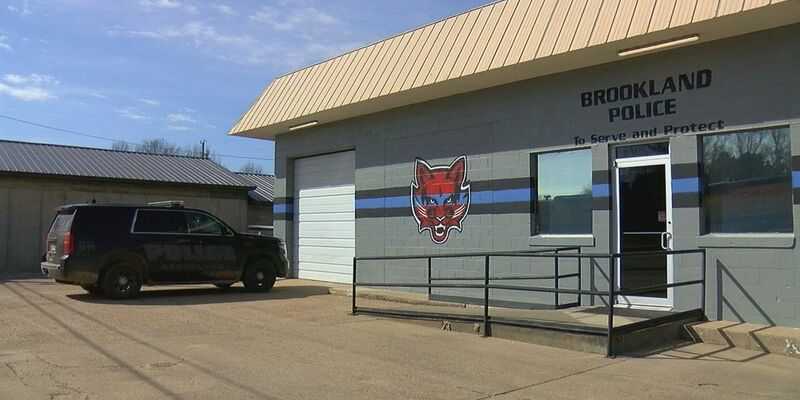 "Hopefully, it will ease some of the concerns of the citizens that think things like Brookland can't patrol its own self or they've got to get Jonesboro or the Craighead County Sheriff's Department to help us. And basically, this is our police department handling our growth and doing a good job. As we've stated before, Jonesboro will come out and help, Craighead County will come out and help and vice versa. We've been out and helped Jonesboro with some calls and Craighead County. We're a team effort here in Northeast Arkansas. And that's the only way you're going to combat the crime that is happening. Is everybody works together and stops the individual turf issues and law enforcement does a really good job of that." Jones said this is the evidence that proves how hard and well officers with the Brookland Police Department have been working. "The chief, the captain, the CID person and the police department," Jones said. "That CID person, which is Zach Purrington now, they stay on top of it. They follow up, they make contact and they follow something all the way through. So, I'm very proud of the job the guys are doing now." Jones said Brookland Police Chief Jon Moore was thrilled when he learned of their ranking, as well. "He was excited," Jones said. "Chief Moore was really excited and I was really excited for them because it's really hard work being a police officer. And nowadays more so than any. So, anytime they get a pat on the back or an acknowledgment, they appreciate it." Jones said someone is always patrolling their streets. "We are now actually out patrolling 24/7," Jones said. "Chief Moore and Captain Settlemoir have done a really good job in changing the time schedules out. Our call volumes have gone up at E-911 and I think it's because we're out more. We are out seeing what's going on and we're looking for things to stop. For instance, vehicle break-ins, misdemeanor mischief and so forth." Jones said he hoped the results of this report shows Brookland citizens how hard their officers are working to keep them safe. "Being 9th in the state is huge," Jones said. "Hopefully, it'll make citizens feel good about the job we're doing. That citizens will know we're working as hard as we can to protect them and their property. But we still need them to help. Eleven officers are 22 sets of eyes. We have around 4,000 people here. And if everybody's looking and letting us know it helps, when citizens call and let us know there is something that needs to be checked out or seems suspicious, then officers can address it. But don't get frustrated if you think nothing is being done. It takes time to build a case properly. Our officers are dotting their I's and crossing their T's. Sometimes it takes a little bit of time, but I guarantee you they are working diligently on issues in our city that make it a better place to live." There are five full time and three-part time and police officers currently working at the Brookland Police Department, along with three reserve officers. To check out the report from Safewise, click here.